It was late December; the aura of Christmas time was in full repose. My mother, father, little brother and myself had just returned from a visit to my Grandmother’s home in Griffin. It had been a long day and the revelry of the holiday had us all a bit tired. We stumbled into the house with all of our trappings and collectively collapsed into each of our own little worlds. Our family living room was replete with modest Christmas décor and an artificial silver tinsel tree. Our living room was small and cozy. My mother loved to display pictures of family and there were a number of them on the walls. Included with these on the back wall above the television was a Cuckoo clock. The clock had been a gift to my mother from my brother Timmy who had served in the Air Force. He had purchased the clock while he was traveling through Germany. The clock had not worked for quite some time, but my mother kept it on the wall to display. I think that year she felt an attachment to the broken clock because it was a gift from my brother Timmy, who had been killed in a traffic accident earlier in the year. It had been over eight months since my brother’s accident, but the memory was still vivid in the minds of our family. It was especially vivid in the mind of my mother. The loss of a child is unfathomable to most, but my mother knew all too well. My brother Timmy was only 23 when he was killed. He was stationed in California, reveling in the freedom and the sunny west coast. For not long ago, he had been in the thick of the war in Vietnam. He was stationed in Thailand, but he had gone into harm’s way on over 20 combat missions as an air crew member of the 606th Special Operations Squadron. He had survived his tour of duty and was happy to be back in the U.S.A.
Of the myriad of childhood memories that come and go, one I will always remember was when my mother and father received the news of Timmy’s death. Having had the sense of relief that he had survived a tour in Vietnam and was safely back at home, we all had to deal with the cruel realization that he was now gone. I had felt no greater sadness for my mother and our family. It was getting much later that Christmas Eve night and mother and father were ready to put our gifts out so they could get to sleep. They had told me and my little brother to get off to bed, but we were rested a bit from our trip and we lay awake poised to hear the rattle of “Santa” putting out our gifts. It was approaching midnight and you could hear a pin drop in the house. I was barely awake, eyes half closed. Mother and father must have taken a brief break. They would later tell me that they had been sitting at the dining room table. Then it happened. 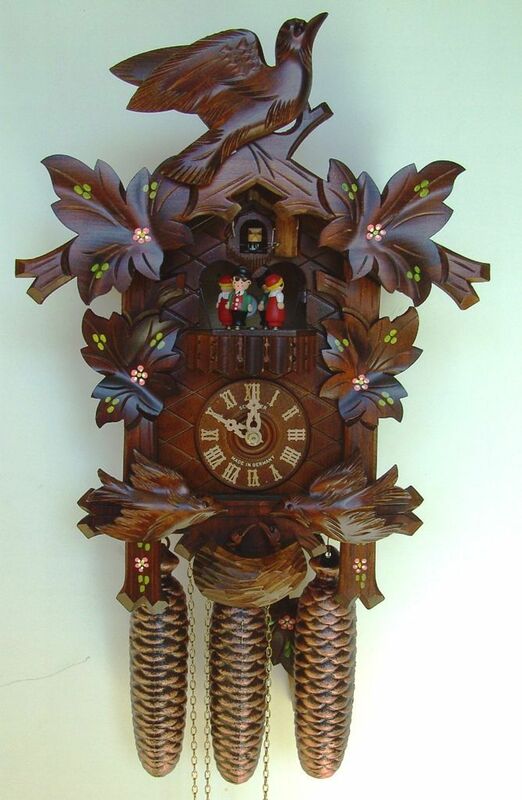 At midnight, the calm silence was broken by the loud bellow of the Cuckoo clock on the wall. Unmistakable in its sound, although we had not heard it in months, the familiar rhythmic cadence echoed throughout the house exactly twelve times then fell silent once again. I had crawled closer to my bedroom door, fully awakened by its call. There was a pause and mother and father had sat staring at each other, puzzled by the event that just took place. Then my mother’s face transformed from bewilderment to enlightenment. In a steady voice that I could hear from my bedroom, mama said, “Timmy just wished us a Merry Christmas”. The awe of what happened and what I just heard, transformed my thoughts of ‘Santa” and gifts to thoughts of something much deeper. I eventually drifted off to sleep. The next morning, my little brother and I began to open the gifts that “Santa” had brought that night. We also listened to mama as she related the story of the Cuckoo clock to us. It was a wonderful Christmas Day. Our hearts and souls were happy and at peace. “Santa Claus” had come that night, but the greatest gift that Christmas was an Angel from God, an Angel who heralded his presence through the sound of a Cuckoo clock.